Whether you want to be a seasonal or year round resident on Martha’s Vineyard, you’ll enjoy our casual and relaxed lifestyle! You’ll discover that Martha’s Vineyard is a wonderful place to stay, play, and unwind. The beautiful Martha’s Vineyard beaches offer something for everyone, from swimming and surfing to strolling and sunbathing. 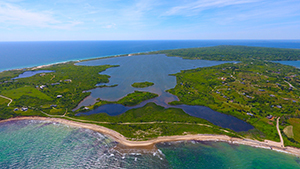 Other popular outdoor activities on Martha’s Vineyard include boating, biking, fishing, horseback riding, hiking, kayaking. There are also plenty of shops, restaurants, farmers markets, museums, galleries, and lighthouses to explore. Click here to view upcoming events on the Island. Browse the links below to learn more about these beautiful Island towns.